Security forces claimed to have apprehended two cadres of NDFB- ( S ) from Bollamguri area in Kokrajhar on Friday. A press release from the army said that based on specific information, army and police launched a joint operation and apprehended two cadres of NDFB-S. 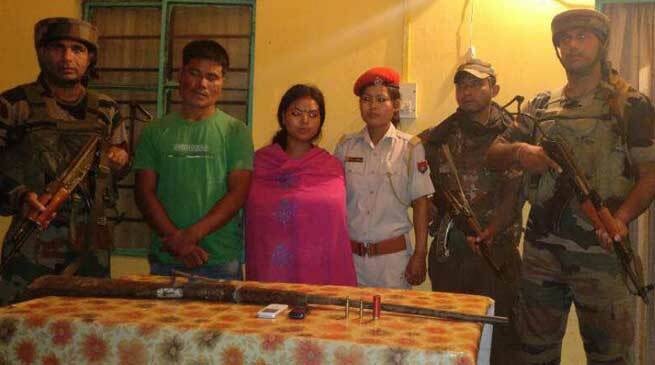 The arrested cadres were identified as Jatan Rabha(30) and his wife Meenuti Rabha(19). One 12 bore gun with 12 round ammunition and 2 round ammunition of 5.56mm were recovered from them.